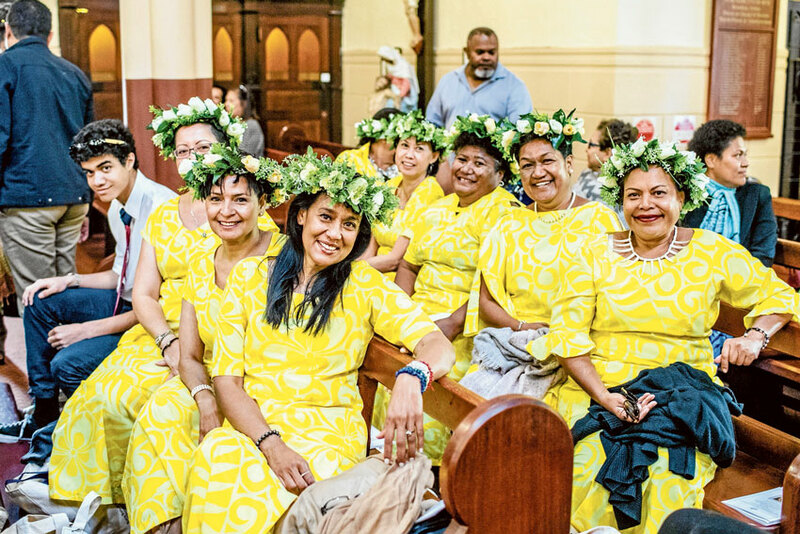 It was a day of sunshine, smiles, flowers and prayers of thanksgiving when more than 300 women met in Sydney for a week-long school reunion. 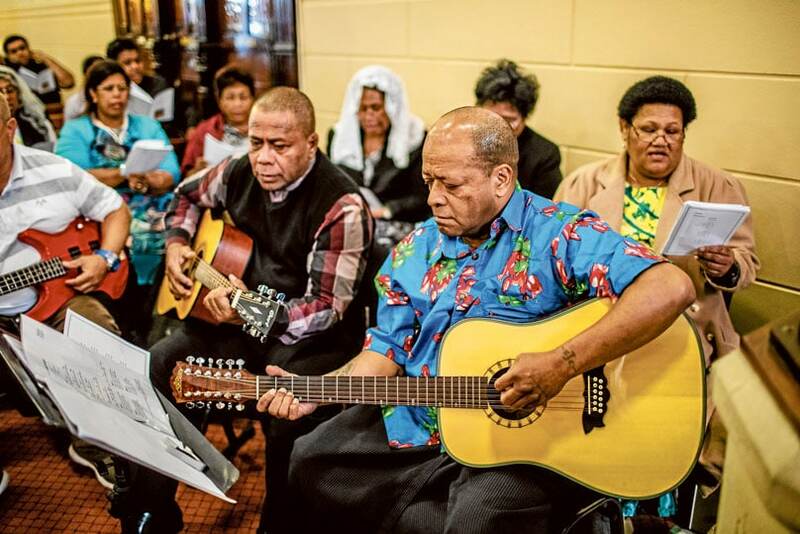 The former students of St Joseph’s Secondary School in Suva, Fiji, began their get-together with an opening Mass celebrated by Fr Epeli Qimaqima, himself originally from Fiji, at St Benedict’s Church Broadway on 16 September. Mass ended with the singing of a song especially written for the occasion by one of the former students. Also on the agenda for the week were walking tours of the city, harbour cruise, an excursion to Canberra for its Floriade festival, and a trivia and dancing night. This is the first time the reunion has been held in Sydney and the largest one ever planned by St Joseph’s alumnae. Former students gathered from around Australia and travelled from as far away as the UK, Canada, USA, Hong Kong, NZ, and Fiji. The Sydney-based group who organised the gathering continues to support the school through donations for building projects and other needs. Pam Devlin, the group’s treasurer, said the opening day was “just wonderful”. Committee member Karen Macalister said it “renews the soul to be among old friends we haven’t seen for years, and very rewarding to see the happiness on everyone’s faces”. She said a highlight was the presence of three former teachers, Sisters of St Joseph de Cluny Srs Irene, Francis and Anna. Ruby Ah Yuk, who travelled from her home in Suva, said that getting together with her former classmates, other students and teachers was “absolutely wonderful”. “It feels like yesterday we were all together,” she said. She credited the teaching nuns for “impressing each and every one of us in the way they brought us up with their morals and their stories of faith”. Next articleQ&A with Fr John Flader: How can we say that the Church is one when so much division is present?